My family loves food. Good food. My Mama always said it was peasant food that she made but it was sooooooooo good! 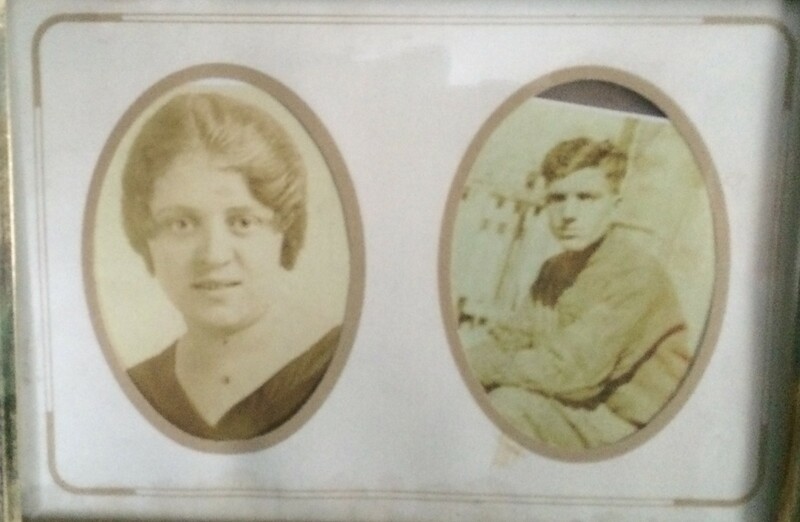 Her father, my Pop Verderosa, came to the United States from Naples, Italy when he was 13 and Nanny Verderosa was born here although her family came from the same town in Italy. My father my was of Irish decent, but we were raised mainly with Italian traditions. The thing is, I can never make any of these dishes like my Mama made them. And she would always say that she could never make them as good as her mother and father did. I never knew my grandmother; she passed before I was born, but I was definitely blessed to know my grandfather and enjoy his cooking. It’s true that no one makes pasta fagioli like he did. Part of the reason why we can’t match each other’s cooking is that we rarely use recipes that are written down. It’s more of an oral tradition. The closest I’ve come on the pasta fagioli is a recipe from one of Dom DeLuise’s cook books. I had many conversations with my Mama about how she made things. “Oh, I don’t know, I don’t really measure.” And now, that’s pretty much how I cook. I may use a recipe as a “guide” but I use my instincts and taste. Had I known the short time I’d have with her here on earth, I would have asked more questions; watched her cook more and written things down. But amongst our large family we have managed to capture some of our favorites. One being an Orzo recipe. 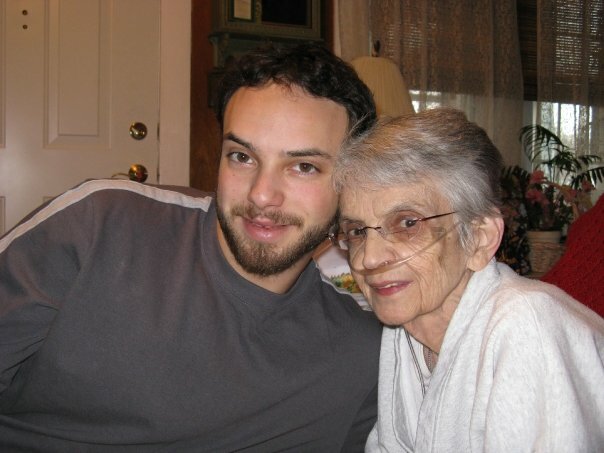 Mama would make the Orzo for Christmas day, and when I say Orzo it wasn’t a tossed pasta dish, it was a baked dish. But she just called it Orzo. Perhaps today I will proclaim it Nanny’s Orzo to the blogosphere; that’s what my nephews call it. Now, I’m not sure who she learned the “recipe” from, but she taught my nephew Jason how to make it. When she slowed down and was sick, he began making it. Then two years ago, he moved to Hawaii, and he told my nephew Joshua how to make it. 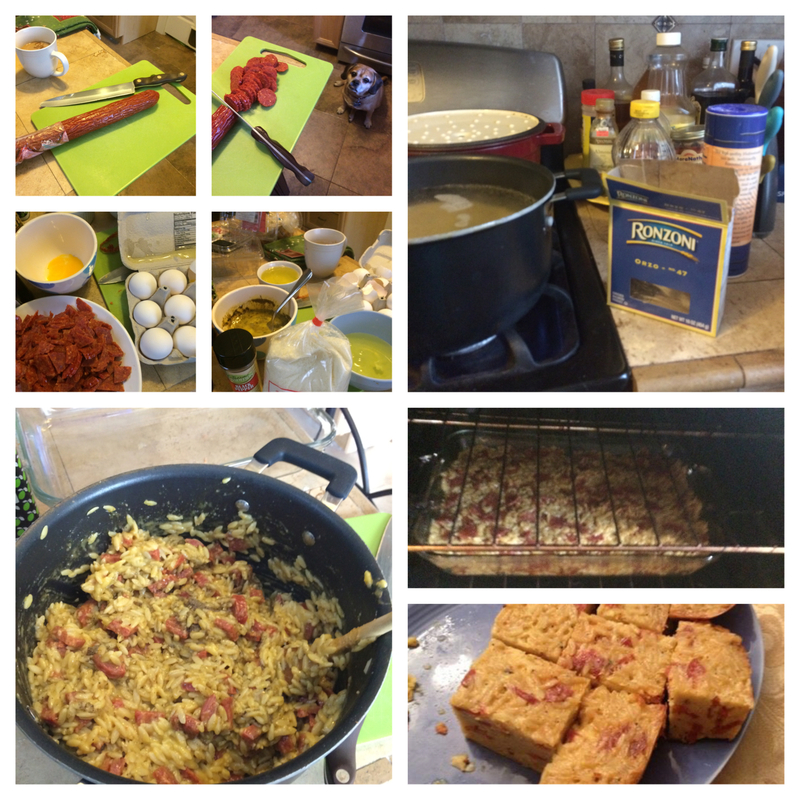 This year, Joshua followed with a move to Hawaii and the big question was, “Who’s going make the Orzo?”. And so the tradition fell to me. Cook the Orzo. Strain and pour back into big pot you cooked it in. Preheat oven to 350*F. Place the pepperoni pieces in & lightly stir. Put cheese in and lightly stir. Put in egg yolks (careful here, gotta make sure not to cook the egg yolk during this so kinda mix while slowly adding yolks). Douse (Nanny’s recipe, I agree with her on this) with black pepper and stir. Pour into glass baking dish and cook until golden brown (1/2 hour? Probably longer, maybe an hour?). When knife slides out clean it’s done. Remember, A LOT of black pepper!!! Like, too much black pepper! Full disclosure … I overcooked the batch I made on Christmas so it was a little … crunchy, although some of the family liked it that way. I redeemed myself with another batch on New Year’s Day. It bubbles a lot in the oven so it may be hard to tell when it’s browning (hence my first crunchy batch). The 30 – 45 minute range is probably what it will take to cook, depending on your oven. It will continue to bubble even after you take it out of the oven; it needs to settle and cool. Once cooled, slice into squares and serve! We put it out with the antipasto. And, IF there’s any leftovers it’s delicious cold as well. So, now Nanny’s Orzo recipe has been passed on again, to you, the one reading this. Make it with love as she always did and you can’t go wrong. And share it. Good things are meant to be shared. Tags: christmas, family tradition, food, Orzo recipe, pasta fagioli, recipes, tradition. Bookmark the permalink.